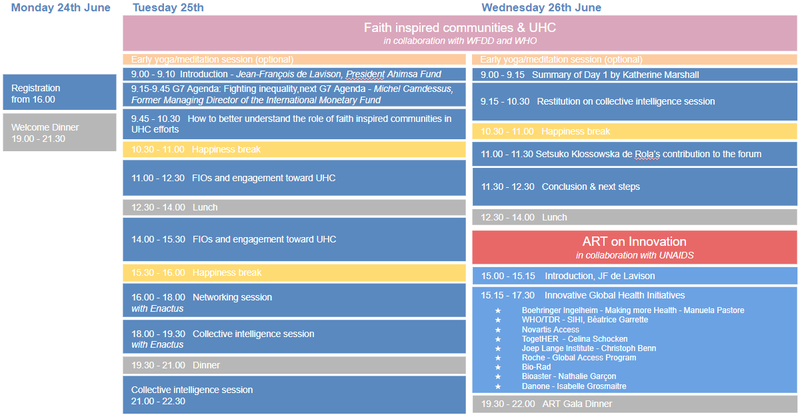 Build new forms of resilience by breaking down silos and encouraging faith-inspired organizations to share and work together, as key actors, in a revitalized and enhanced global partnership involving worldwide global health stakeholders. 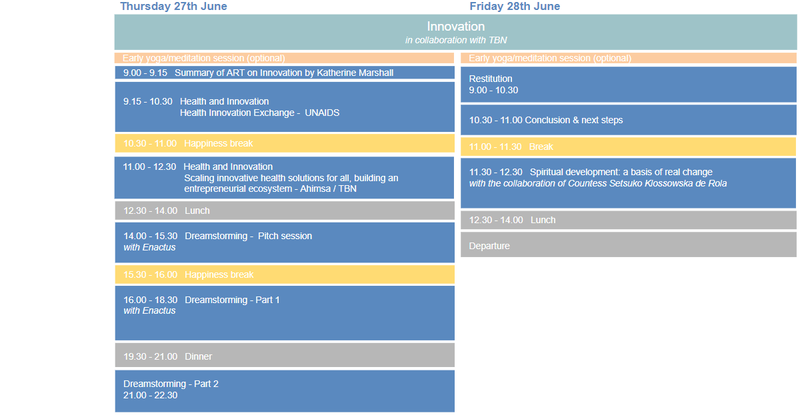 Our aim is that this event propel and inspire change, and lead to innovative new actions in the field of global health. We will explore how technological innovation in healthcare can help to promote social innovation and vice versa, and how each actor’s commitment can help to reduce disparities, to make these technologies accessible to the most vulnerable, and thus to contribute more fully to the goal of universal health coverage. During this event, we will launch a new ART (Ahimsa RoundTable) offering an opportunity to present new initiatives aimed at facilitating health access for the world’s most vulnerable populations. The floor will be open to all global health stakeholders wishing to share innovative and exciting initiatives in this area. Ahimsa Fund is a non-profit organization committed to maximizing support and development in underprivileged countries. Private or public sector representative fees will contribute to sponsor participation of communities from those countries. Please contact oberliet@ahimsa-fund.com for any registration/information request. The fourth Ahimsa Forum, organized in collaboration with WFDD, will be held at Les Pensières in Annecy, France, from June 24 to 28, 2019. These dates will mark Ahimsa’s tenth anniversary. Les Pensières Center for Global Health is three and a half hours from Paris by TGV, 40 minutes from Geneva international airport, one and a half hours by motorway from Lyon and less of one hour from the Mont Blanc tunnel linking France and Italy. Parking is available for those arriving by car.